The Allen County Health Department offers a cardiovascular disease prevention program. Screenings and education about heart health are available. Heart disease is the nation's number one killer with heart attack and stroke claiming lives of millions each year. 32.6% of adult Kentuckians (1 in every 3) were smokers in 2002. 79.8% of adult Kentuckians (4 in every 5) did not consume the daily recommended amount of fruits and vegetables in 2002. 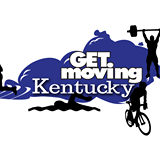 24.4% of adult Kentuckians (1 in every 4) are obese, based on reported height and weight in 2002. 10.0% of the adult population in Kentucky has diabetes, (1 in every 10), one third of whom were undiagnosed in 2002. High Blood pressure is also frequently diagnosed in Kentucky, with many cases being untreated or undiagnosed.